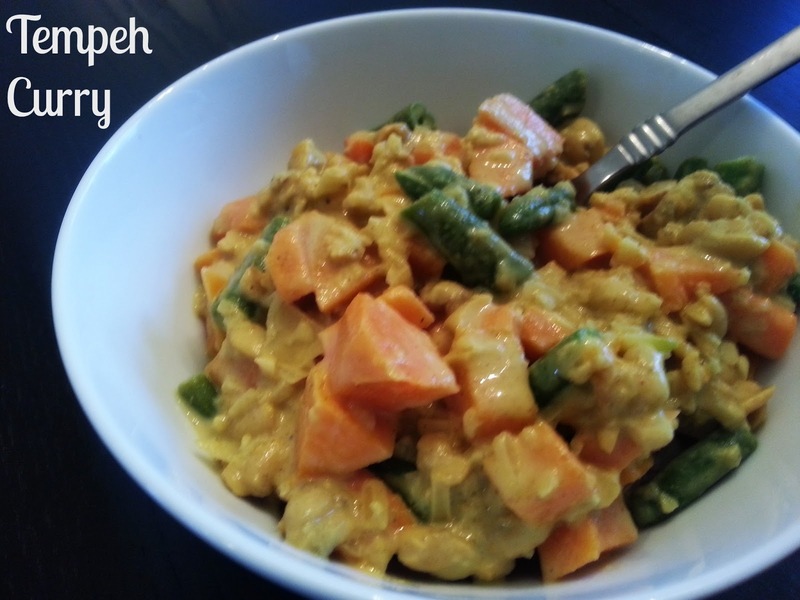 Tempeh absorbs the rich spices and coconut milk in this simple curry. Cook the rice and steam the tempeh while prepping your other ingredients and it will come together quickly. Bring rice and water to a boil in a medium saucepan. Reduce heat to low, cover pot and simmer until liquid is completely absorbed and rice is just tender, about 40 minutes. Meanwhile, arrange steamer basket in a pot. Add enough water just to reach bottom of basket. Bring to a boil. Cut tempeh in half and place in the steamer basket. Reduce heat to medium low, cover and steam about 15 minutes or until tender. Remove tempeh and set aside until cool enough to handle. Cut tempeh into 1/2-inch cubes. Bring 1/2 cup broth to a simmer in a large deep skillet over medium-high heat. Add onion, garlic and ginger and cook 5 minutes or until onion is translucent and tender, stirring occasionally. Stir in curry and cumin and cook for 1 minute. Add coconut milk, potatoes, tempeh and remaining 1 cup broth. Bring to a boil. Reduce heat to medium low, cover and cook 10 minutes. Stir in green beans and return to a simmer, uncovered. Cook about 5 minutes longer or until potatoes and green beans are tender. Stir in 3 tablespoons cilantro and salt. To serve, spoon curry over rice and garnish with remaining 1 tablespoon cilantro.